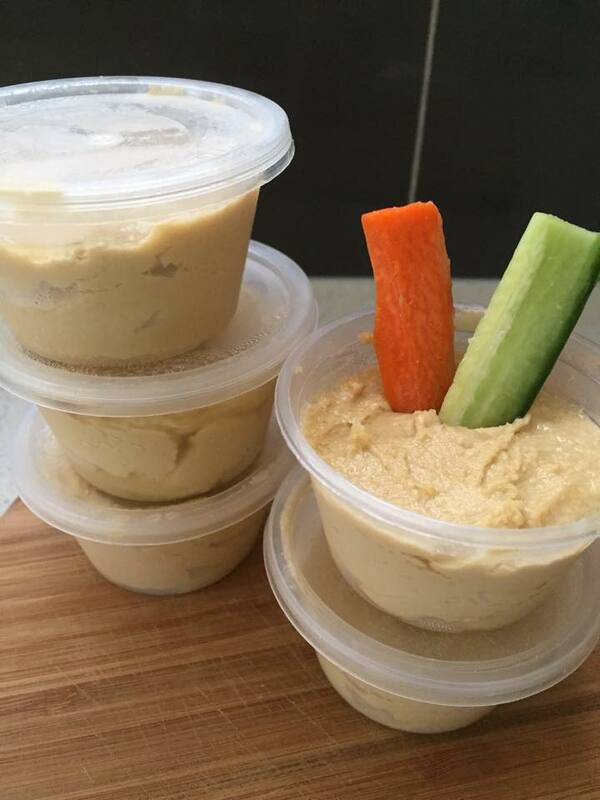 Really easy Hummus thanks Wendy for sharing! 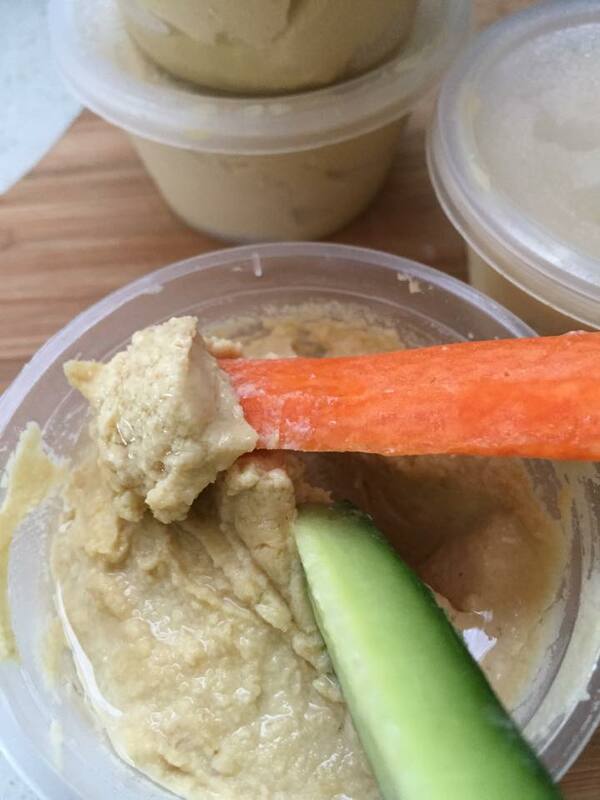 1/4 cup tahini. Whizz it in food processor until creamy then add 1/4 cup lemon juice, about 3 or 4 Cloves of garlic, 1/2 tspn cumin, 1/2 tspn salt, 2tblspns olive oil. Whizz up again. Keep it creaming up and add a can of chick peas a handful at a time (allow time for processor to make them a bit creamy). At the end just add a little water to get the consistency you like. I divided it into 100ml containers so we can take for lunch with carrot & cucumber sticks. Seal the top with a little paprika if you have some (I didn’t) and some olive oil.